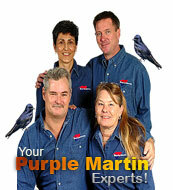 Barn Combo This S&K package has everything you need to get started in the Purple Martin hobby! House includes a LIFETIME Warranty. If at any time your house is damaged you can contact us for instructions on receiving a FREE replacement house from the manufacturer! Barn Combo Package from S and K Manufacturing. Includes everything you need to get started in the hobby. 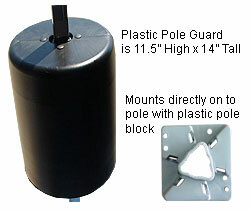 Standard items include the 16' triangular shaped pole with plastic ground socket, plastic house and more. 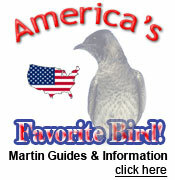 For added security add the pole guard to help keep snakes and other climbing predators from your Martin family.